"Great tool for the development and hosting of content." Openshit is a great tool for developers, in its platform, you can develop all kinds of applications, and host them on the same site, where after you can perform all kinds of tests with them, in a secure environment of execution, the number of applications can be developed and launched in this system are countless, you can create as many as you want, also has a large number of tools that can make the development process somewhat easier, depending on the features that are needed, this system has with multiple language support, which allows developing applications for foreign clients, in their own language, without the need to use other applications to translate the characteristics of them, the templates with which the application has can be somewhat limited, but many can Serve for a quick job. Backup copies can take a long time, can take hours to restore after saving, which does not help much, when you need some information that has been compressed, since it takes time to have it available and not always, one has it, at the beginning, it was a little difficult for me some features of this system, it is developed for advanced users, new developers who are not familiar with this type of development applications in the cloud, vain to find it difficult. Thanks to this system, we have a site where you can develop and run applications at any time, which allows you to make the operation known to other people, without needing to install it in another type of device, a tool of great help for any developer. "Excellent open source platform to host your projects"
In our company we use linux, so open source tools like this that allow us to develop our projects, are very effective. We mainly use Java and Pyhton, so this platform is perfect, since it accepts these two languages. In addition we also use Mysql for the database and this language is also found. Sometimes there is a specific error when uploading a project, but it does not happen very often, they are small failures when updating the information within the software. If you use linux in your company and also languages such as Java, Phyton, Php or Mysql (in addition to others) you can consider using this tool to develop your projects, as it is quite useful. It has made the realization of projects much easier. It has also allowed us to edit and update projects quite fast. In addition, as it has well-known and used languages, it makes it easier to use this platform, since we know those languages. Open Shift provides new actively subscribed user with a starter account that comes with 1GiB of memory and storage for a single project space and open community support. Additionally, they provides a really quick and helpful response to any questions you may have within a few business days which reflects great customer service. Just recently, Open Shift switches from basic JBoss Web Server with Apache Tomcat 8 to a more complex and secure project setup using https that requires certificate and key setup. Without any experience in TLS Termination and SSL certificates it may be difficult for someone who is new to deploying web applications. Highly recommend Open Shift as a consideration for deploying your own web application that is accessible to anyone with connection to the World Wide Web (WWW). However, I would suggest anyone without experience in SSL Certificates to learn the material before attempting deployment using the tomcat server option. Research new technologies for hosting web applications in a tomcat server. The benefit that came with this research discovery is that this cloud platform is a great choice for new starters learning deployment of web applications in a cloud environment. Also great for small business owners interested in starting a new website! Openshift, Red Hat and Fedora users community, opensource community. Culture and ecosystem with hackatons and community events (conferences, seminars,webinars). Most recent cutting edge opensource software and technologies. Support and extensive documentation, educational resources. Easy to implement and make experiments. Highly extensible and scalable, Openshift apps can scale from single-page app to a large infrastructure or network, fully controlled monitored and orchestrated. Minimal network latency for servers. Openshift containers and cartridges and plenty of github repositories available with custom configurations for those containers / cartridges and apps. Constantly providing new features and publishing newest tutorials. Pricing for individual learning and experimenting and for professional projects and hosting. Build for developers, developers and DevOps best friend. Easily integrated in other cloud services and cloud providers. Pre-built applications, ready to be deployed in minutes. I think there are not many issues I can count which i dislike. It can be complexity to build and scale custom apps, though OpenShift is not for plain users but for developers and professionals. Sometimes hard to build a new application with experimental features, I need to build a new cartridge for that application first and I need to keep all manifest and config requirements. Highly innovative and stable platform, designed for future. Openshift is a starting point and base platform for various large projects. I move almost all my development environments, mostly staging, outside of production to Openshift. I make domains with demo. * and dev. * prefix at Openshift and provide "live" development environment for my customers and clients to observe work-in-progress. "Affordable and realiable Cloud Hosting"
All the different Applications that they support and options that you can config for each one. It is a quick and easy way to turn on an application for either a quick demo, testing or just a proof of concept with having to go thru all the red tape of getting permission from someone in it. They do not have a asp.net solution or Microsoft SQL Express. Built-in Training for people who are not experience creating Cloud solutions. The Ability to have more than 1 user and assign permissions to them. Try the free version if you have any doubt, but be ware you just may like it more then you will have expected. "A great and easy to use application platform"
Openshift is really very good application platform which has made life easy for developers. Now we can focus on writing code instead of spending time to build and deploy.It is very helpful to automate build and deploy process. It gives you the flexibility to scale up and down your pods (servers) as your application requires. We can also achieve zero downtime deployment in production in OSE3 so deploy anytime you want without effecting users. Sometimes it is difficult to check logs on OSE. We have seen pods crashed many a times but could not get useful logs to track down issue. We are using OSE3 to build and deploy are application. We achieved zero downtime with OSE which is really helpful. The ability to spin up a new instance preloaded with the applications I want. The interface is simple enough for a beginner to get started, without having to read documentation on how to use it. Not exactly dislike. But the thing I least like are the restrictions on MySQL database cartridge which shuts down after 8 hours of inactivity. Definitely try this even if you are currently using anything else. Easy to setup your project. Really helpful for students, It also allows for using custom domains. I can quickly turn on a instance and install my app to test and to show to other users. I also use to showcase demos of my personal projects. Also I have used this service to host college's event websites. "Whether in a public cloud or private DC, OpenShift make easy move to container and microservices"
We are experimenting Openshift Origin, the upstream community project that powers OpenShift. We are also studing and monitoring the Red Hat versions. OpenShift enable to rapidly build and deploy Docker containers and manage them on a robust, scalable platform. The openshift origin version is good for demo and test, as well as we can count in a enterprise version provided by Red Hat. What is more OpenShift is based on Kubernetes and Docker, that I think like "standard de facto" in managing and orchestrating container. Openshift require a lot of resource and some constrains in hardware and software requirementes. It help in propose to our customer a gradual moving from traditional architectures to innovative approach. I like that it is free, fast and never goes offline unlike other "free" webhosting sites. The speed is fast. Learning curve was easier than expected. Setting up php environment and mysql database was a piece of cake. There was a little confusion at first on how to upload my files to the server. I learned that I had to use Putty for windows and use version controlling system. This was new to me but everything else is fine. Use it for free if you are unsure. For single developer with small app, I think the free version is still better. There is paid version too and I am sure bigger teams will benefit from it. I am using it to host mysql database for my android app https://play.google.com/store/apps/details?id=timsina.sciq.prabin. The speed so far is great. But let's see what happens as more and more users start using the app. "I'm using the free service of "
have a free service while in some other same services you should wait for their free service. APPLICATION IDLING is 24 hours. you can have 3 apps with just one account. It's easy to use you if you know git just commit and push it can't be easier. you can not install any thing with package manage So you should compile it yourself and it takes lot's of time. you don't have root access. I'm a developer and I couldn't pay money for paid services because they are really expensive. lot's of my projects are free and I don't earn money from them so in this situation open shift was a good choice. "Excellent platform for deploying and testing web pages"
Needs more example applications, at least one application per programming language or tool, to demonstrate the high capacity of this great tool. "Good cloud platform that works as well with a "self-service" model"
The git code push is not a source code repository making it mandatory for developers to maintain their own source code repository. In our case we only had support for tomcat container. ( Though this is in no way restriction of openshift). Thus limiting the options of using this platform to small to medium sized applications. "Such a Fantastic PaaS Solution"
With regard to PaaS solutions, OpenShift is incredibly simple and straight forward and offers support for many of the features you expect from this type of solution: CLI, QuickStarts, Multiple Languages and Gear Add-ons. The solution is fantastic until you run into an issue with a deploy or you need to debug your application. While other services will pull the logs for you and make it easy to troubleshoot the instance (gear), you have to do a lot of this yourself via the shell or other options. While OpenShift offers a many of the same features as its competitors, its management console is VERY limited by comparison. Be prepared to manage your gears somewhat manually through a combination of config and console access. I use OpenShift to host pretty much all of my personal sites and blogs. Its a fantastically simple solution with a great command line tool that handles deploys and gear management just like Heroku, AppFog and ElasticBeanstalk. In fact, I switched to the service from one of its competitors and the similarity with how you manage deployments and configuration made it absolutely painless. This coupled with the stability of the service overall has allowed me to host all of these with zero downtime and be up and running in a matter of hours. I think it is simple to use. They have great tools for eclipse and cmd line. I have no issues and if there was something I didn't know. The support blogs are great. The response time for any new questions seems to be with in 24 hrs. I started with free 3 gears. I soon was impressed and upgraded to bronze. I would have made it easier to add multiple urls but that was a few years ago. I started using open shift when they first started. I think they have done a great job adding new features to make developers and dev ops lives better. I like them way better than google app engine and aws. I know they use aws under the hood, but thats a good think I get all the befits whith out having to be a network engineer. I can just develop me app and deploy it. They did a great job addin a market place I use send grid and Searchly, but they it is growing every day. I have solved my CI. You can get a free jenkins app . I started with java jboss. I wanted to nodejs and I found the fastest way to get a application deployed to the web was with open shift. The elasticity is one of the major factors me and my team chose to use OpenShift as a trial. Deploying development "gears" is very easy and upon testing Jenkins it seems that the servers are pretty good for development use. When I have questions the support team seems to have responded to my questions within 24 hours, which makes me confident towards their support on their own service, which many service providers lack. The user interface could more more user friendly. Sometimes deploying servers could be quite slow and bugs appear in the control panel where webpages were not properly redirected to. However, reporting it to the support team seemed to have fixed this issue . Using the free version of OpenShift it was hard to determine whether or not their infrastructure is good enough for production use. I am trying to replace my in house server with the one hosted in the cloud. Openshift seems to fulfil our requirements and we will further evaluate it. We are likely to implement Openshift to our stack to replace our current in house solution in continuous integration and Jenkins. "Review Based on Trial Usage"
What I liked best was the variety of coding languages that could be integrated with the solution. The variety appears to have a "pick your flavor" mentality. There wasn't anything that I disliked. The integration wizard was seamless and self-explanatory from the beginning. I do not have any firm technological recommendations to others. My usage of the trial version was simply to poke around and see what was offered. It appears to have a lot of very diverse features, starting from the selection of the runtime application. If I were to assist my SaaS company with a code management integration, OpenShift would be one of the first solutions I evaluate. I did not have any specific business problems I was trying to solve, as my usage was on a trial evaluation only at the recommendation of a colleague. However, I was impressed enough that I would continue the recommendations on to my organization if they were ever in the market of a web application deployment solution. "fantastic starter dev servers with optimal production servers"
The free plans rival the best in the business, including the bronze plan which includes 3 free gears and SSL support with custom domains. very few platforms offer this kind of service off the bat for free. The easy of deploying a cartridge within seconds rivals very few systems something spectacular for fast past development environments. I recommend openshift to any client that I have. Things can be rather clunky to get set up for someone that's not used cloud hosting before, and can make this a rather steep step in order to get started. Since the forums were shut it has made it difficult to get new answers quickly without using elsewhere. There is no second guessing, do it. You'll be thrilled. Creating solutions for clients is always a difficult situation and openshift really makes the process simple and effective. "Easy to use and 2 minute hosting"
Ease of usage and an intuitive dashboard. It is container based, persistent and supports automation. It has Docker, Kubernetes and Atomic support. Impressive pricing is a big plus. Never ending free trial and a training course by redhat. Considerably less addons as compared to heroku and Digital Ocean. I had some issues with VCS but is now fine. Redhat cloud as a hybrid is an innovative approach and I hosted my college website on open shift. Its stable and was very easy to deploy. The service ready like such as document , library and special free to test app, You just to edit code then push to OpenShift, that is awesome. OpenShift gives the freedom to quickly deploy applications without hassle. It is one of the few reliable hosting solutions for Phalcon PHP. You just to edit code then push to OpenShift, that is awesome. "OpenShift is rocking! All in one platform solution for anyone." Available gears, most of the commonly used gears are available. Free account with 3 gears, after that available in nominal charges. Easy configuration for domain mapping. As far as I used the services available in OpenShift I don't find anything which I dislike. I'll recommend OpenShift to others as it is very easy to use and I found all the charges are listed properly. Pricing model is simpler than Amazon and Google services. Most of the required software is available and it is very easy to setup. I am planning to use it as our production infrastructure. It will help me achieving fast turn around time for go to production. "OpenShift, My experience with PaaS from a hobbyist"
OpenShift is incredibly easy to use. There are many open source projects backing the instant deploy applications with the most common web frameworks, like Django, Ruby, etc. I like how simple it is to create custom applications from their "Do It Yourself" bare bones application. The documentation for spooling up new applications is thorough and pedantic. I like how the deploys are managed through git hooks which allow easy management of development/production environments. I enjoy having the flexibility to scale as my traffic grows. I like not having to worry about the cartridges that I am using, as they are community maintained (security updates, bug fixes are handled by the community at no oversight by me). There isn't a lot of documentation for websocket support through OpenShift. It is not possible to host certain newer frameworks (Meteor.js being one of them). Their application marketplace for adding custom 3rd party cartridges is fragmented and not intuitive to use. Their free plan will not keep your application running if your application is not used for some time. This leads to long delays when user requests the site after the application has been shut down. I use OpenShift to host my personal website. The Bronze 'pay as you go' plan is sufficient for my needs. OpenShift gives me the dedicated resources I need to host my website at no cost with the option to scale as I go. "Simple, effective, fast, secure and free. What's not to love?" I can have an app up and running within a few minutes. Using a pre-configured cartridge, that means I can deploy an entire site (wordpress, express.js, whatever) in about 60 seconds. I haven't noticed downtime and have had an app up and running for about 8 months now. I hear OpenShift v3 is around the corner and will improve stability even further. Overall, it's great for testing and development but I haven't found a use case for any PaaS that I'd be willing to pay for. Then again, I'm just a single developer working by myself with dedicated systems at my disposal. Updating via commits means your entire app will restart. This means minor tweaks in the development process result in a minute of downtime while the app spins back up. It's completely reasonable for a PaaS, but a lot of my work involves changing a couple characters and testing, which really slows things down. For many projects, this is probably barely noticeable. Since OpenShift has a free tier, I think everyone should give it a shot. I'm a bronze user myself, which basically means I've entered credit card info, but I've never been charged since none of my apps are large enough to warrant more gears. Keeping on top of security updates for example projects that I don't want to maintain myself saves me a lot of time. For example, I wrote a blog post about coding a Steam trade bot in Node.js, and the example code runs on OpenShift for users to interact with. They get to try out the very thing they're making, and I don't have to do anything to keep it online or up to date. Red hat keeps everything secured, and I can move on to other projects. "OpenShift used in a school project"
OpenShift is an easy to understand platform that is very scalable. I used OpenShift to host a web application for a school project, and we did not run into any issues along the way. The professor was intrigued that OpenShift was used. All developers in the group understood OpenShift without much of a problem. 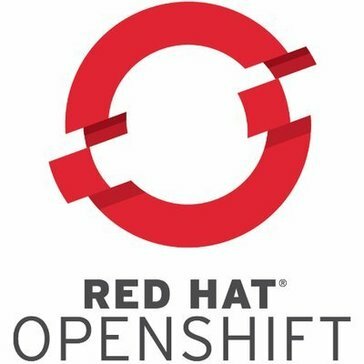 OpenShift solved many problems that a human would typically make. It was nice not having to worry about those things. The web app is down a lot. Could never figure out why. I actually am not sure if it was an OpenShift issue, but many times the web app would get a 503 error, and then after refresh would work. There was not much of a business problem being solved. If there was one, it was the problem of hosting a turn-based web app with multiple users interacting with each other. "OpenShift - Way better than EC2"
OpenShift is free, don't ask about credit card until you want to upgrade. When I'll be ready to deploy final release of application then I will do that. Want to code in Java - no problem, launch Java gear. Want to play with Python - launch Python gear. On EC2 you've got server that need to be updated, configured, etc. and have load of unnecessary stuff. There is not any predefined virtualenv or other solution to have the same conditions on localhost and OpenShift. If you're just started developing and application - do it, switch right now. When you have already some code and want to deploy it on OpenShift - read documentation, in my opinion it can be handy. I'm a freelancer, keep care about IT security (workstations to routers). Now I'm learning Django to get extra jobs for creating website. OpenShift will be excellent hosting solution for my clients. Supports a large number of language environments, databases and frameworks. Good and easy to use interface. All people are not familiar using the cloud based solutions. So for such people there should be a small training or demo tutorials available. It is a good cloud based platform at an affordable price. So if you are thinking of opening a start up, you could consider using this as the initial investment is not very high to the benefits that this provides. The free tier is powerful and flexible enough to allow for better-than-demo applications to be deployed. Deploying Django applications, although supported, is still rather complicated. It's only natural that the workflow will improve with time, but I'd like to see it simplified. Reading up on the documentation since a learning curve exists. Deploying personal web applications, mostly for proof of concept or trial runs, before officially releasing them. "Openshift for ultra-fast time to market and development"
The ease at which sites / applications are deployed with Openshift is second to none, a simple git push is all it takes. Lack of local storage in Openshift v2. Openshift v3 eliminates this issue. I was able to focus on my django business logic versus the infrastructure required to put the site up in a load balanced fashion. "Best Free Resource for hosting my apps and client Wordpress sites"
Openshift has the power of Redhat behind it. With many easy integrations its easy to spin up a web application and scale it for FREE. Some experiences I've had deal with server downtime. Most of the time these can be mitigated with a free service like Pingdom. Perfect for setting up small free web applications. I'm solving the fact that my clients don't have to pay for hosting. Its incredible. what i like about openShift is the secure rhc client that help us to control our application in the cloud easily using ssh, the security is primordial in our company, also we like the easy to use marketplace that permit to install great software easly. you have lot supported languages, software and databases. It is very user friendly and affordable. The interface looks great and the initiative you have taken for the users feedback is great. It would be better if you have some learning platform or tutorials on YouTube so that people can start using easily. Platform as a service, an easy way to start working on small sites. They provided so many options for different programming languages, you can use it to create/deploy your own applications, you can implement it using different technologies, and it's free for a small application. It provide me a platform where I can practice different programming languagues, i can also use it to deploy personal site. "I launch my sites on open shift before I actualy deploy in the open"
"Great solution on paper, a lot of work ahead for production..."
testing of data synch app. * We monitor all OpenShift reviews to prevent fraudulent reviews and keep review quality high. We do not post reviews by company employees or direct competitors. Validated reviews require the user to submit a screenshot of the product containing their user ID, in order to verify a user is an actual user of the product. Hi there! Are you looking to implement a solution like OpenShift?